Being locked out of your vehicle is always an inconvenience, but becoming locked out of your trunk due to unforeseen circumstances can be a much bigger annoyance. Fortunately, our team at American Local Locksmith offers 24-hour trunk locksmith services, so that you can get your groceries into the freezer as quickly as possible. We are dedicated to providing our clients with locksmith service of the utmost quality; we understand that the trunk locks on cars are often neglected, and therefore need a bit more attention to detail than vehicle door locks. On older vehicles especially, the locks on trunks are susceptible to rust, and are likely to jam more frequently. That’s why our team is committed to bringing to you the tools and techniques to resolve your vehicles trunk lock issues and return you to your usual daily activities. Our staff members are each trained rigorously in the art of manipulating trunk locks, and can handle virtually anything your automobile trunk lock throws at them. Our trunk locksmith specialists are capable of fixing the locks on practically all vehicle models, regardless of age, and are even able to replace the locks on trunks that have been damaged beyond repair by rust or other outside forces. 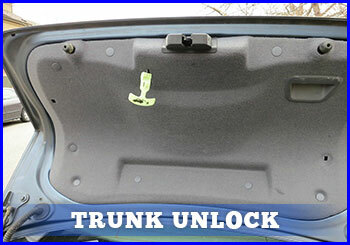 We can fix your trunk’s lock, or in the cases that keys are lost or broken, replace the specific key. Our staff comes prepared with technology that allows for a quick key replacement or duplication, to minimize your trunks’ down time and restore your access. The American Local Locksmith crew is dedicated to serving the local community, and can be on the scene an average of 30 minutes after a call is made requesting our locksmith services. We defend our quality name by ensuring our reaction times are much faster than those of competing businesses, and once on the job, completing each task with efficiency that is undoubtedly more impressive than other businesses. Our company is supported by a vast pool of satisfied clients, and we work hard to keep each and every one of their trunks in tip-top shape. We will work with you to identify the lock problem specific to your situation, and once identified, will work tirelessly until your access is restored. Instead of trying to wrangle the trunk lock yourself, let out professional team of technicians open your trunk with a speed and efficiency matched by no other business. Each member of our staff is required to undergo training specific to trunk lock services, and are held to a strict code of ethics that demand the utmost safety and responsibility during every job they are assigned. This means that when you trust your car’s trunk lock to us, it is in hands that are both incredibly knowledgeable and highly capable.